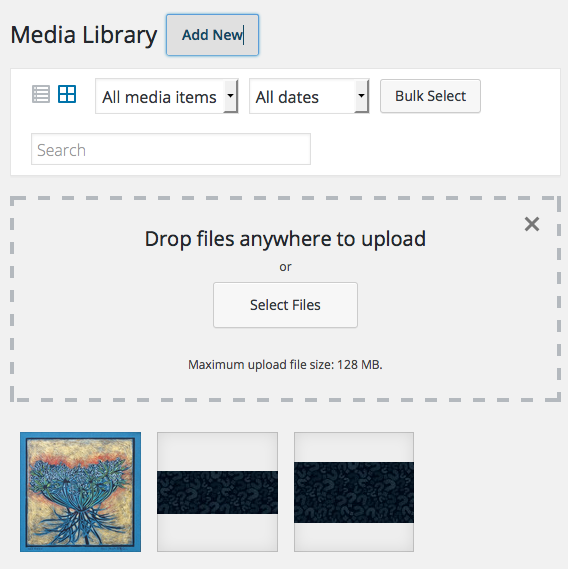 You can also add images directly to the Media Library through the multi-file loader or the single-file loader. 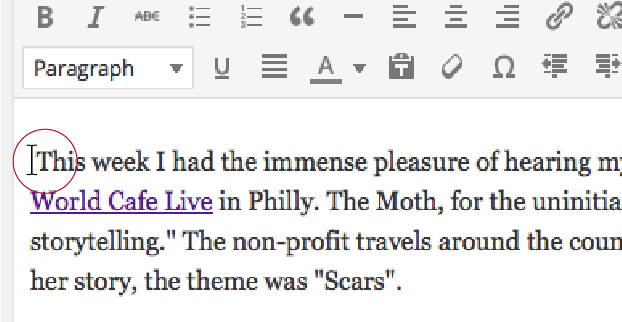 When writing or editing a post, you can add an image using the Add Media button above the editor box. 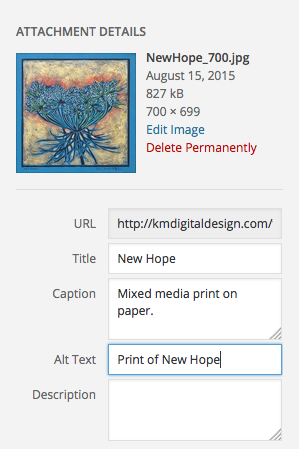 Add a new post following the directions in this blog post- How to create a WordPress post. This opens a window that displays the multi-file uploader. 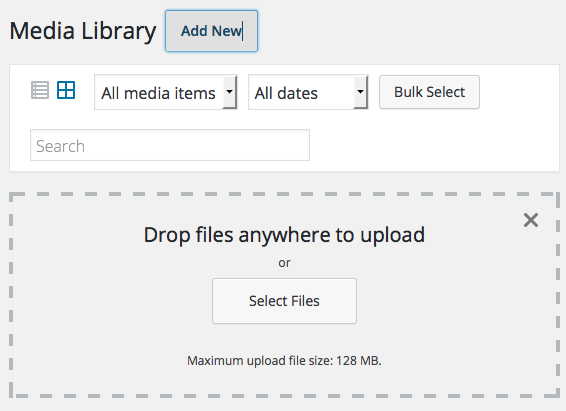 From here you can drag and drop your picture or select it using the file selector. The images you add here will be automatically added to the Media Library. 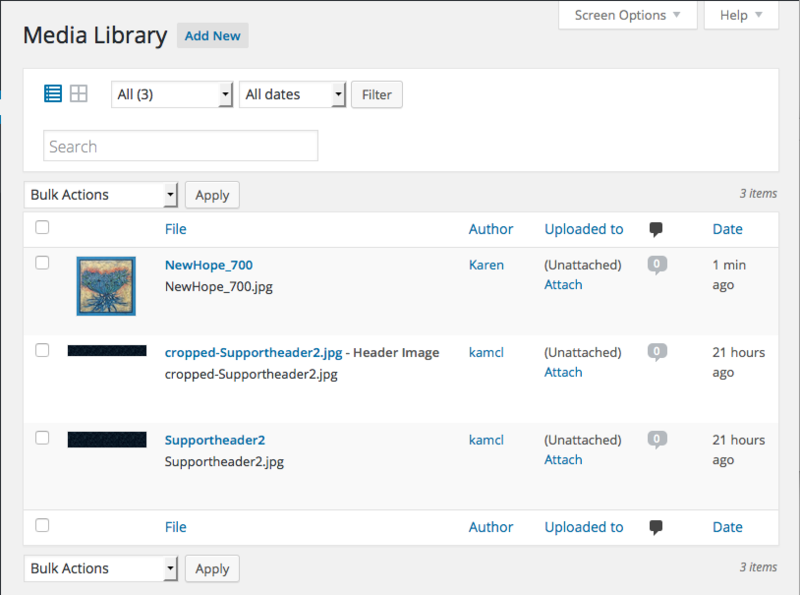 Click the Select Files button and locate your images to upload. You will see the files processing. When they are done “crunching” you can close out of the window. Top row: “None”and Center alignments, Bottom row: Right and Left alignments. 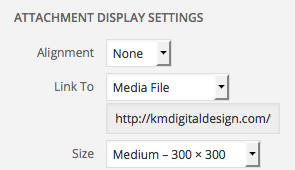 Once you have determined your image settings, click on the Insert into page button, to add the image to your page or post.At any time, you can edit the image settings by clicking on the Edit Image button (pencil icon) You can remove the image from your page/post by clicking on the Remove Image icon (x).